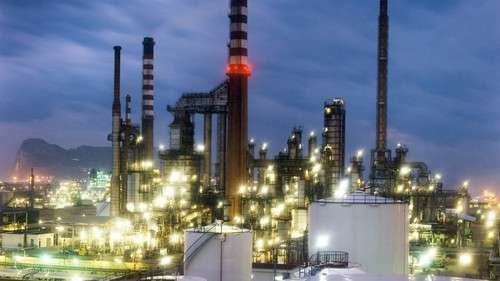 Cepsa is to implement a new upgrade project to expand production at its Puente Mayorga Chemical Plant in San Roque (Cadiz). The revamping process covers the installation of Detal technology, co-licensed by Cepsa and UOP, the most modern and efficient technology for the production of linear alkylbenzene (LAB), as well as increasing production capacity at the plant from 200,000 to 250,000 tons. The project helps to strengthen Cepsa’s international leadership position in the production of linear alkylbenzene (LAB), which will reach a global capacity of 650,000 tons. The project also involves upgrading the plant through the installation of Detal technology to enhance its position in the sector and in turn manufacture an improved product. It will also enhance the efficiency of the plant and reduce emissions thanks to lower gas and power consumption and production process optimization. The new technology will also significantly improve safety. The project represents an investment of €100 million. The production plant is the first in the world that will change the process from hydrofluoric hydric acid to Detal technology. Work will start in May and will take approximately two years to complete. A total of 83 new pieces of equipment will be installed, requiring close to 650,000 man hours. The project will in turn generate 250 jobs, most of them local, with peaks reaching 400 workers. “The Puente Mayorga Chemical Plant is where our experience in the surfactant market began, which we have applied to our other installations around the world. The project will allow us to revamp the plant and enhance its competitiveness in the market. The increase in production from this plant will be primarily aimed at high growth African markets. Our estimations show LAB demand in these countries growing by 5% annually between now and 2035”, said José Manuel Martínez, Cepsa’s Chemical Director. Cepsa is a world leader in the production of LAB, which is essential in the production of biodegradable detergents, both for home and industrial use. Furthermore, it is also used in domestic cleaning products and soap bars. The company has LAB plants in Spain, Canada and Brazil, whose total production represents 15% of world supply. The company is also a pioneer in the technological development of the production of this raw material, and its manufacturing process is used by companies all over the world. Four out of every five new LAB plants are currently built using Detal technology, co-licensed by Cepsa and UOP in the 1990s. Cepsa will install the latest version of this technology, known as Detal Plus, at the Puente Mayorga Chemical Plant, an improvement on the original version that requires less consumption of raw materials, improving the sustainability of the product. Cepsa has operated in Andalusia for over 50 years employing 3,600 direct employees and generating another 2,600 jobs indirectly. With sales of €14.5 billion, the company is the largest in both production and revenue in Andalusia, representing 10% of Andalusian GDP. Cepsa operates two oil refineries, two petrochemical plants, six cogeneration plants, one combined cycle plant, a biofuel plant, two LPG packaging plants and 282 service stations, as well as fuel supply to four airports and ten ports and participating in the MEDGAZ pipeline, supplying natural gas from Algeria to Europe via Spain.